: Knit this accessory chunky ribbed scarf, available as a free pattern to download. 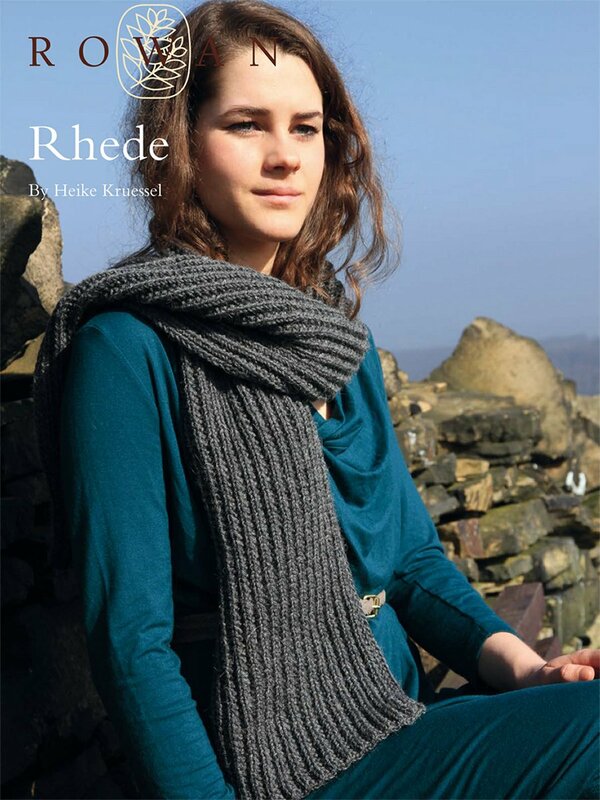 Designed by Heike Kruesell using our wonderfully soft machine washable worsted weight yarn Pure Wool Worsted, this yarn is available in a huge variety of shades so you can choose your favourite! This design is free from the Rowan website. A Free Rowan account is needed to download this pattern from the Rowan Website. It just takes a moment to create your account on their site before you view and download your pattern. Remember to download or print the pattern by following the link provided on this page, as it will not be shipped with the yarn. Size US 8 straight needles are required but not included. Gauge: 24 sts and 27 rows over 4"